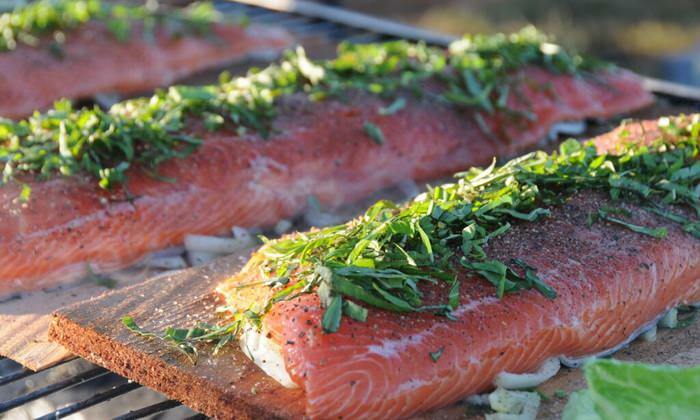 An Oregon group is redefining the farm-to-table movement — and bringing the table to the farm. 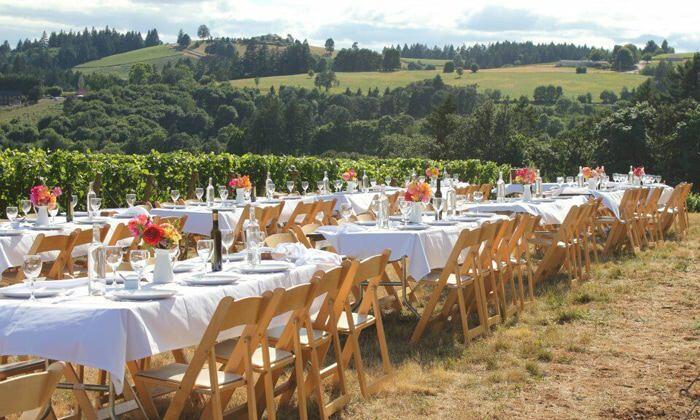 During a series of limited summer engagements, Plate & Pitchfork turns local sustainable farms into world-class dining rooms featuring some of the region’s best chefs, winemakers and agriculturists. Plate & Pitchfork’s theme is “know your farmer, know your food.” That’s why each meal is prefaced with a personal farm tour, where guests are encouraged to ask questions about the food they’re eating. Founder Erika Polmar first launched Plate & Pitchfork in 2003 with just three dinners in the opening season. 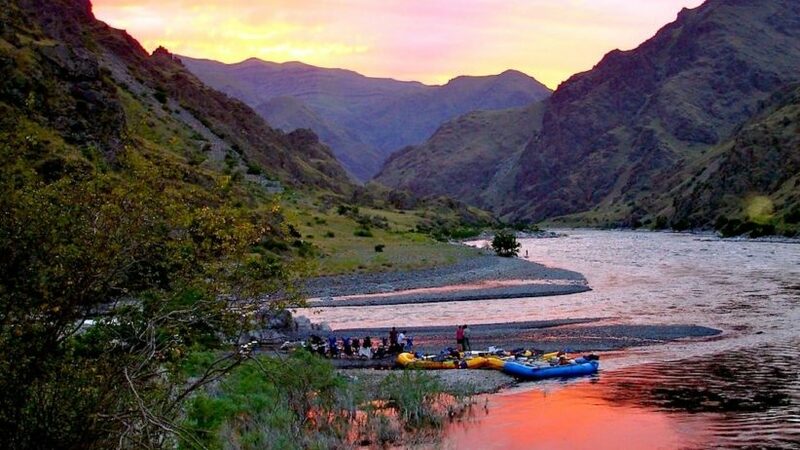 Now, Plate & Pitchfork hosts multiple unique dinners each summer that often sell out months ahead, including a special food-and-wine rafting trip through Hells Canyon. Plate & Pitchfork is committed to supporting environmental non-profit organizations like Oregon Tilth and Farmers Ending Hunger. So far funds raised from the dinners have helped provide 500,000 servings of locally grown fruits and vegetables to Oregon’s hungriest residents — and Polmar hopes to double that number soon. Travel Oregon chatted with Erika Polmar to gain a better understanding of her groundbreaking company. What inspired you to start Plate & Pitchfork? When Plate & Pitchfork began after studies indicated that 94% of consumers had no connection to agriculture. Kids graduating from high school couldn’t trace their food source beyond the grocery store. Farmland was in decline. Diabetes rates were increasing. As the daughter of scientists who was raised to know that what you put in your mouth impacted how you felt and performed and that carrots didn’t grow on trees, all these stats were particularly alarming. And not being an educator or a scientist myself it seemed the best way to change these trends was to demonstrate that there was a delicious way to buck the trends. How do you choose and match chefs, winemakers and farms? It’s a bit like solving a Rubik’s cube. You start with one field and twist the bits until they all fit. The farms are the first piece of the puzzle. Once they commit, they have an opportunity to identify chefs and winemakers they enjoy or know well. If there’s no one on their wishlist I pair them with chefs who have complimentary personalities and work styles, or are devoted to the farms products. Nine times out of 10 the chefs choose their partners on their own, but every once in awhile they look to me for suggestions. If everyone involved in a project is enjoying the company of their colleagues the end product will be spectacular. Winemakers can be matched the same way, but sometimes a chef’s cuisine really demands a specific style or varietal of wine and that factors into the equation. Why is it important to have the farm tour before the meal? The farm tour is perhaps the most important piece of Plate & Pitchfork. We’re certainly committed to making sure you have a beautiful, delicious meal, but above all we want you to see where your food has come from and have a chance to interact directly with your host farmers to understand the care that’s gone into creating the food you’re about to eat. When the host farm is raising chickens, pigs or beef our guests have, on occasion, become squeamish. And that momentary discomfort is an incredibly important teachable moment. 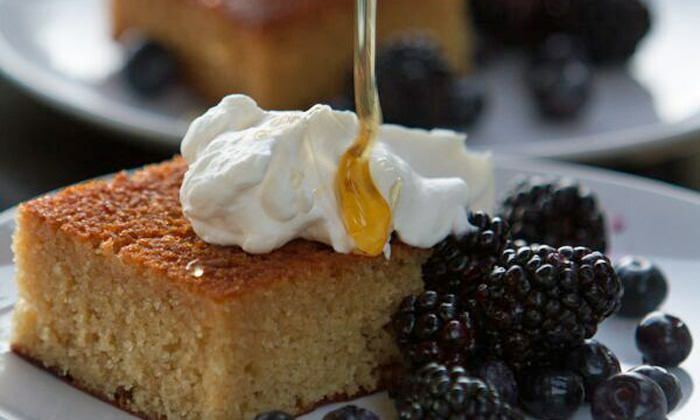 How has Plate & Pitchfork contributed to the farm-to-table movement? Plate & Pitchfork has provided Oregon farms, ranches and purveyors with the tools to reach a broad audience that they might not otherwise reach. And we’ve helped build that audience by providing our friends and fans with useful information year-round. We established our business not just as an event company but as a both a catalyst and a resource to our guests and our partners. We made a commitment to try and change our corner of the world and although we only have anecdotal evidence to prove that we’re making a difference we remain fiercely committed. Why is agritourism important to Oregon? An economist would likely respond to this question by saying that the income and jobs created by agritourism can bolster rural economies. But I think there’s a value in agritourism that’s a bit tougher to quantify. In a state like Oregon where policies and regulations are often developed in areas that are densely populated I think it’s increasingly important that people experience life outside their own neighborhood. When you see the rural communities and wild areas of our state they take on more import. Maybe your experience outside the city changes the way you cast a vote, maybe you’re compelled to join a conservation organization, or maybe when you’re at the grocery you make sure to buy an Oregon product with the knowledge that your purchase is helping keep an Oregon family in business. How did the Plate & Pitchfork Raft Trip come into fruition? While working with Cory Carman of Carman Ranch, she mentioned that Paul and Penny Arentsen of Winding Waters River Expeditions were interested in exploring a partnership to put more focus on the food grown and raised in their region. So she introduced us, we discovered that we had shared goals and values and decided to go for it. Chef Leather Storrs of Noble Rot joined us on our first trip (as did Rick Steves) and we’ve been working together ever since. This year marks our fifth trip. A chef joins the raft trip and prepares lunch and dinner each day; the incredible Winding Waters Rafting Crew prepares breakfast. 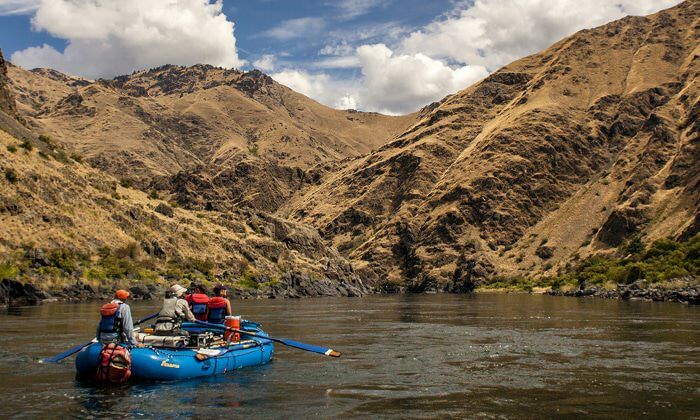 We raft Hells Canyon, which is incredibly remote so the chef has to be very well prepared — there’s no running down the street to grab something they’ve forgotten. But if you talk to the chefs that have joined us they’ll likely tell you about jumping off a rock wall into the river, cooking freshly caught fish or sleeping under the Milky Way before they’ll tell you about the challenges of cooking remotely. Describe your perfect Oregon meal. Freshly foraged morels, served on Grand Central Bakery toast, grilled salmon with Viridian Farms asparagus and blackberry cobbler served warm and topped with a scoop of vanilla ice cream – all cooked and consumed with good friends, preferably outside.